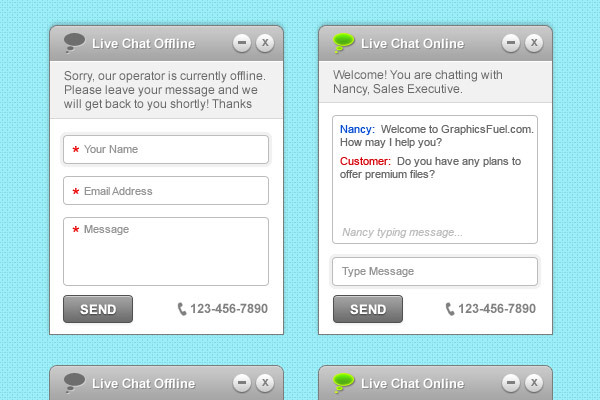 PSD freebie is a clean and simple live-chat web interface in Photoshop format. The layered PSD file comes with both online and offline UI along with minimized versions to help you create your own live web chat user interface. You may also like these other GUI elements.